State Key Laboratory of Precision Measurement Technology and Instruments, Department of Precision Instruments and Mechanology, Tsinghua University, Beijing, 100084, China. To facilitate the manufacturing of a ball-end mill, this paper presents an algorithm for ball-end mills gashing by using a five-axis computer numerical control (CNC) grinding machine. In this study, the normal helix models are proposed. Then, based on the cutting edge geometric model and the machining mode of the five-axis computer numerical control (CNC) grinding machine, the coordinate of the grinding point when the step of the gash out is grinded will be calculated. With the input data of ball-end mill geometry, wheels geometry, wheel setting and machine setting, the NC code for machining will be generated. Then the code will be used to simulate the ball-end mill machining in 3 Dimension. The 3D simulation system of the ball-end mill grinding is generated by VBA and AutoCAD2008. The algorithm of ballend mill gashing can be verified by the 3D simulation system. 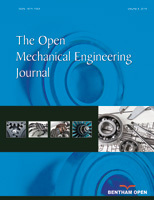 Result shows that the algorithm presented in this paper provides a practical and efficient method for the manufacture of a ball-end mill gashing.